Peter was born in Douglas, Isle of Man in 1926. His parents were musical: his father was a tenor, and his mother a pianist and soprano. His grandfather, Robert Kneale, was the island’s outstanding euphonium player of his day. His brother, John, played tenor horn and sang as a choral tenor; Peter played the trombone and piano, and sang as a baritone. He was educated at Douglas High School, and after war service in the Fleet Air Arm, Chester College and later Trinity College of Music, London. He began his teaching career in Sandy, Bedfordshire in 1949, and taught in primary and secondary schools in the county, and in the Isle of Man. 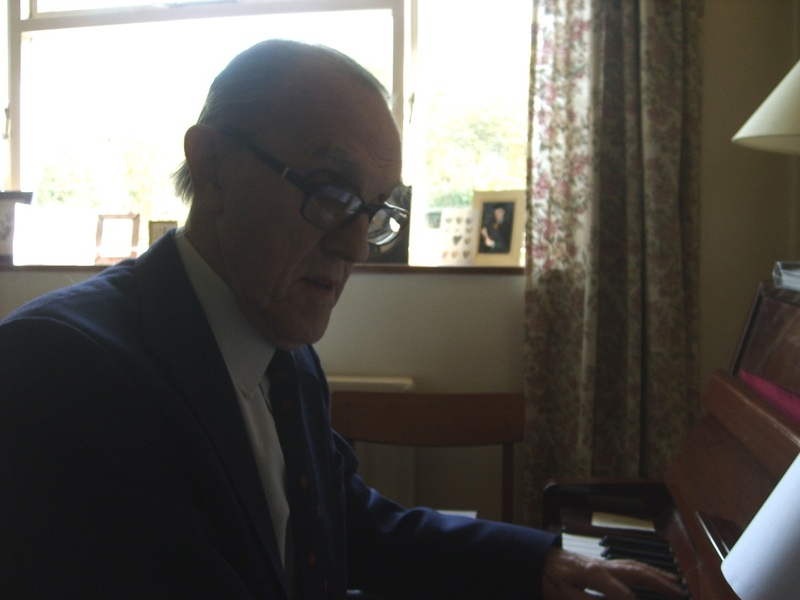 In 1967 he took up a post at Bedford College of Education as a Principal Lecturer in Music and later Head of Department, where he trained student teachers for the next nine years. 1976 saw him return to his first love, working with schoolchildren, this time in Northamptonshire, in middle and upper schools, and as a rural advisor. From 1983 to 1989 he tutored at Northamptonshire Music School, and was an occasional extra-mural lecturer at the Northampton Annexe of Leicester University. Peter has trained and conducted choral groups and brass bands in addition to teaching singers, pianists and brass players. He is an accompanist, composer and arranger, and most of his compositions were written for the bands, choirs and soloists he taught.